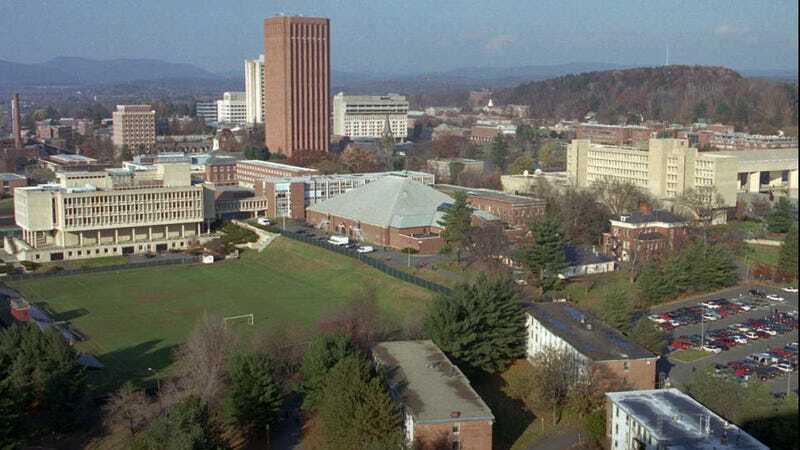 Starting this month, the venerable University of Massachusetts at Amherst will no longer allow Iranian nationals to matriculate as graduate students in many of its programs in engineering and the natural sciences, including physics and electrical/computer engineering. The University has determined that recent governmental sanctions pose a significant challenge to its ability to provide a full program of education and research for Iranian students in certain disciplines and programs. Because we must ensure compliance with applicable laws and regulations, the University has determined that it will no longer admit Iranian national students to specific programs in the College of Engineering (i.e., Chemical Engineering, Electrical & Computer Engineering, Mechanical & Industrial Engineering) and in the College of Natural Sciences (i.e., Physics, Chemistry, Microbiology, and Polymer Science & Engineering) effective February 1, 2015. The more Robin researched this restriction, the deeper the rabbit hole went. U. Mass claimed its restriction was based entirely on US government sanctions on visas granted to Iranian nationals seeking specific kinds of graduate programs. But they are one of the only public universities to implement the ban, and their actions may be based on a misunderstanding of the law. Indeed, Robin points out, The Washington Institute on Near East Policy published a paper addressing the exact laws that U. Mass cites — and suggests that universities implement an "open" policy, allowing Iranian nationals to become graduate students. In addition, other experts on Iranian policy suggest that this ban is draconian, a punishment for people who have committed no crimes. But that hasn't stopped a few other U.S. educational institutions from banning Iranian nationals. Turns out that Kaplan, which is a US-based educational company, is implementing an even more draconian version of the policy over in Britain. For similar reasons as U. Mass. And it's caused some problems. Some schools may not have official or publicized policies but I can tell you that it is happening ... Iranian students in the United States are authorized to perform the activities for which their visa has been granted and U.S. persons are authorized to provide services to Iranian students consistent with those visas. Pursuant to Section 501 of the Iran Threat Reduction and Syria Human Rights Act of 2012, the State Department is prohibited from granting visas to Iranian students seeking access to higher education in order to "to prepare the alien for a career in the energy sector of Iran or in nuclear science or nuclear engineering or a related field in Iran." UMass likely concluded that they were therefore prohibited from teaching i.e. providing a service, to Iranian students for courses that are directly relevant to these prohibited industries. If you live in the United States, this might be happening at your local university too. There is a lot of disagreement among legal experts over whether the ban is necessary, which means that right now the institutions banning Iranian students are doing it by choice, not by government order. Prominent tech schools such as MIT and CalTech have not implemented the ban. I urge you to read all of Corey Robin's excellent investigation of this issue at Crooked Timber, where he provides a lot more evidence and interesting testimony from experts. Correction on 2/18: An earlier version of this article stated that Sam Cutler said his firm "advised schools to implement this ban." In fact, they advised schools about the ban, but did not suggest they implement it. UPDATE 2/18: UMass has backed down from its position, and will no longer be banning Iranian nationals from its science programs! See more on Corey Robin's blog.